The government has streamlined procedures for handling asylum seekers, clearing stumbling blocks that had earlier hindered them from entering the country. President Joko “Jokowi” Widodo has just signed a presidential regulation (Perpres) on asylum seekers, detailing protocols for how to treat those who land on the nation’s shores to escape life-threatening events in their homelands. The newly issued protocols, signed on Dec. 31, would help the government assist the more than 14,000 refugees and asylum seekers who have long been overlooked since entering Indonesia, which is not a signatory to the United Nations’ 1951 Convention Relating to the Status of Refugees. “We issued the presidential regulation in response to the need for a legal basis for handling refugees because Indonesia is a non-signatory of the refugee convention,” Andy Rachmianto, the Foreign Ministry’s director for international security and disarmament, told The Jakarta Post. He added that the issuance of the Perpres would have no bearing on the country’s current position as a non-signatory of the convention, making it only responsible for repatriation and settlement. Prior to the Perpres, Indonesia only relied on Law No. 37/1999 on international relations to handle refugees and asylum seekers, leaving institutions unclear about what to do with asylum seekers and refugees when they arrived in their regions. The law does not elaborate on how to handle refugees and asylum seekers stranded in Indonesia on their way to other destination countries, such as Australia. Last year, Indonesia was criticized for its treatment of a group of Tamil migrants from Sri Lanka who were stranded on a beach in Lhoknga, Aceh. The Aceh provincial government refused to allow them to disembark for one week, confining them to their grounded boat. 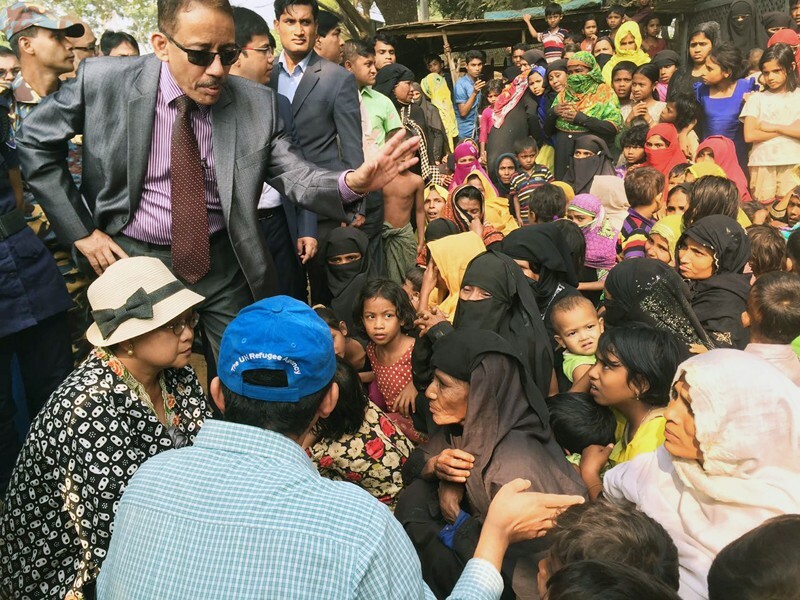 The local administration argued that the asylum seekers lacked the proper documentation and that it had no budget to look after them, after earlier facing problems while hosting hundreds of Rohingya Muslims. The central government later ordered the administration to allow them to disembark. The Perpres contains detailed stipulations on which institutions are tasked with managing refugees in Indonesia, complete with each of their respective responsibilities. It also serves as a legal basis for regional administrations to propose operational funds for handling asylum seekers and refugees and providing temporary shelters. “With the presence of the presidential regulations it is now clear who is doing what and what kind of responsibility each institution has,” said Agung Sampurno, the spokesperson for the Law and Human Rights Ministry’s Directorate General of Immigration. According to the Perpres, refugee handling is done through cooperation between the central government and the UN High Commissioner for Refugees (UNHCR) and other international organizations. The Perpres further stipulates that the Office of the Coordinating Political, Legal and Security Affairs Minister coordinates the handling of asylum seekers in the country, from their discovery to settling and monitoring them. For the discovery of asylum seekers, the National Search and Rescue Agency (Basarnas) is tasked with conducting search and rescue operations on vessels suspected to be transporting asylum seekers. Once the asylum seekers are found, they would be moved to safety boats if the vessels are about to sink and taken to docks or nearby land. The asylum seekers in need of medical attention are to be identified immediately and they would be taken to immigration detention centers. If there is no available immigration detention center, the asylum seekers will be brought to the local immigration offices or nearby police stations. Then the immigration officers are to record the data of the asylum seekers by checking their travel documents, immigration statuses and identities. The UNHCR will review proposals from asylum seekers and decide whether they are eligible to be granted refugee status. If their applications are rejected, the relevant institutions would have the authority to deport them to their countries of origin. Before the Perpres was issued, the relevant institutions in Indonesia did not know what to do with asylum seekers whose asylum requests had been rejected by destination countries.